The more you know about something, the better off you’ll be. That’s pretty much true for anything. So, knowing more about your DeKalb County Property Tax is something you can benefit from. This post is going to take you through some of the questions that people often ask about topics regarding their property taxes. One day you may find yourself having the same question, so some of this might be quite helpful to you, even if you don’t know that now. Who Is Responsible for the Valuation Assessment of My Home or Business? The value of your property is determined by the DeKalb County Property Appraisal Department. There is a Board of Assessors that is led by the Chief Appraiser. When a property needs to be assessed, the Board and the Chief Appraiser assign appraisers to go out to the property and perform and assessment so that a value can be given for the residential or commercial property. What Kind of Training Do the Appraisers Tasked with Valuing My Property Undergo? To be an appraiser, there are some skills that just need to be there from the get-go. For starters, anyone who wants to be an appraiser needs to be a very analytical thinker and be good with numbers. Effective communication skills are important also, because appraisers have to talk with property owners and write reports based on their findings when they’re making assessments for the valuation of your DeKalb County Property Tax. The road to becoming a real property appraiser does have requirements for education hours and experience. The amounts of these are set by the governing state authorities. The requirements may differ from state to state. Appraisers can also seek to become certified or licensed within their state, for the appraisal of real property. There are designations that can be bestowed on appraisers by certain organizations. To earn a designation, certification or state license, appraisers have to be able to pass an exam that covers all of the pertinent information they need to know to perform the job of an appraiser successfully. Who Determines the Laws That Govern the Tax Assessors’ Office? The DeKalb County Property Tax is governed by laws that are set and managed at the state level. 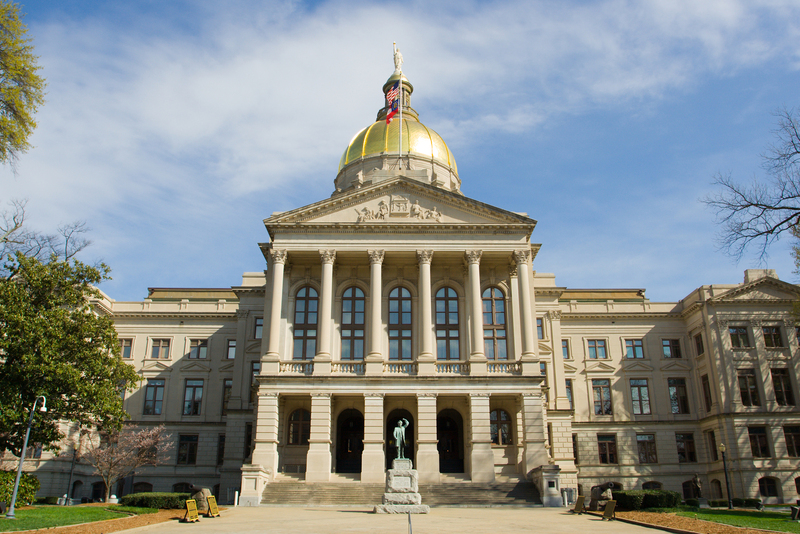 Every state has its own Constitution and laws are set with the guidance that comes from that Constitution, in this case the Georgia Constitution. There is some reference that comes down from the Federal Government, but the States are responsible for setting the laws that govern the appraisal and tax assessment processes. What Is the Difference Between the Tax Assessor and the Tax Commissioner? The Tax Assessor has the responsibility of sending out the appraisers to assess your property. This office determines the value of your property so that the amount of your DeKalb County Property Tax can be figured. The Tax Commissioner is who actually calculates the property tax amount, sends out your property tax bill and then collects what you owe for your taxes. How Is the Property Tax Amount Calculated That Is On My Bill? Once the appraiser has done his job and come up with a value for your property, the commissioner then takes that amount and multiplies it by the millage rate for DeKalb County. So what is a millage rate? The Millage Rate is a percentage amount. Per every $1,000 of value in your property, there will be a portion that is billed to you for taxes. The rate is applied to the total of the value of your property that is taxable. There could be some parts of your property that aren’t taxable through the rules of some exemptions. In those cases, the rate wouldn’t be applied to portions of your property that fall under those exemptions. How Do Appraisers Apply a Value to My Property? There are three ways to approach assigning a value to your property when appraisers are trying to determine the valuation of your property for you DeKalb County Property Tax notification. Income-based approach – This approach is used for properties that are used as rentals. This type of property generates income so the value is estimated by looking at how much income the property is producing. Comparison of sales approach – Appraisers will look at properties that recently sold in your area that are comparable to your property. They can then get a valuation amount that is based on the market value of your property, which is the amount that you could sell it for. Cost approach – This approach has the appraiser looking at what it would cost to try and rebuild the structures on your property. It does take into account any amount of depreciation that has accumulated. They will also calculate in the value of the land. The estimated value is based on the cost for a replacement of your property plus the value of the land and minus the depreciation. How Often Will My DeKalb County Property Tax Amount Change? There’s not really a concrete answer for this question. You just need to know that it can change. Even if your property’s value doesn’t change, the tax amount can. If the millage rate gets changed, then your DeKalb County Property Tax bill will change along with it. Other things that might change your tax bill are a change in the assessed value of your property, or you no longer qualify for an exemption or you now do qualify for an exemption that you didn’t before. If you ever do see that your DeKalb County Property Tax amount changes, just make sure you look into why. If you ever need help with trying to understand your DeKalb County Property Tax valuation assessment notification, including why it changed or how the assessors came up with the value they did, you can contact Fair Assessments, LLC, and their experts will be happy to help you with any questions you may have and help you start looking at filing an appeal if one is warranted.